Find it hard to choose a new opener? 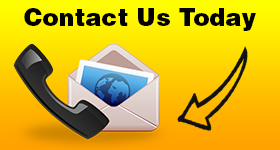 Want the very best techs for garage door opener installation in Gatineau, Quebec? Get in touch with our company. We install all brands and new age opener models. Whether you want to get a Wi-Fi connected Chamberlain opener or a screw drive model by Genie, our techs have the required skills to install the new opener properly. Contact Garage Door Repair Gatineau to handle such services. Everything about the opener is important to your safety, convenience, and security. Garage door opener installation is done correctly by our crew. Our long experience has become our guide. But we are also all updated since openers are high tech these days and require expert skills. Rest assured that we have all the qualifications needed to install garage door opener high tech models by any brand. Need garage door opener replacement in Gatineau? Whether this is an opener from Sears or Chamberlain, we can replace it. Our team offers emergency service if there is such a request. With our repair vans loaded, our techs can replace the existing opener in no time at all. If there are problems, we can also fix them. So, you can also depend on us for garage door opener repair. Call us to handle opener problems in one go. We respond quickly and provide same day opener service. When it comes to new openers, depend on our experts to install any model you choose for any type of door. Want overhead opener installation? Want a new opener for your one-piece or roll up door? Not only do we install the new opener properly, but also find the right motor with the ideal horsepower. Looking for a DC motor or prefer AC motors? How about accessories and security features? Which clicker should you get? Will you need an opener to support a backup battery or get activated with your smartphone? No matter which one you choose, rely on our Gatineau garage door opener installation service. Call now to make an appointment.